Just Contemporary Romance: So can I murder someone…? So can I murder someone…? I’m sure that’s not true for everyone, and there are probably great contemporary category romances with murders in them, but for me, contemporary romance such as Entangled’s Brazen imprint are all about internal emotion. Of course, they also need a frame to hang all that emotion on. That’s where the external plot comes in, but it must come second to the internal conflicts the characters face. I read and write across a number of genres, sci-fi, paranormal, contemporary, though all my stories have a strong element of romance. I think different types of books fulfil different moods for reading as well as writing. Maybe a romantic suspense if I want a bit of excitement, a paranormal if I’m after a bad boy with fangs, sci-fi if I want an adventure. But if I just want pure emotion then I usually turn to category contemporary romance such as Brazen. 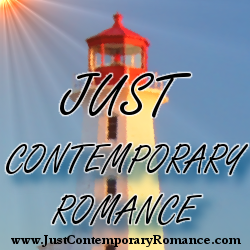 When I first started out writing, I used to think that category contemporary romance would be easy. In fact, of all the types of books I write, I find plotting them the most difficult; though in many ways they are ultimately the most satisfying to write. When I’m writing a paranormal or a sci-fi, if things get slow, then I can throw in something really exciting, like an explosion, a space fight, a nifty new alien, but with contemporary you have to rely on your characters themselves to provide the excitement. Invariably, at some point in the plotting process, I always start to think—what happens next? And wouldn’t this be so easy if only my hero could suddenly metamorphose into a vampire, or a werewolf or even a fairy? Or perhaps my heroine could be telepathic, or an alien, or even a zombie…? Instead, I have to dig deeper into my story and into my characters for that all-important emotion. I think powerful emotions result from having a strong premise and an almost insurmountable internal conflict. Often, while I don’t allow myself to murder anyone in the actual book, a lot of the exciting stuff has happened in the past, and that’s what gives the characters their conflicts. My latest release is Out of Control. It’s a contemporary romance from the Entangled Brazen line, which means it’s pretty hot. It’s the second book in my series, Babysitting a Billionaire. They are all bodyguard books, but with a twist—it’s the heroines who are the bodyguards, protecting their men. So how much external plot do you like in your contemporary romances? Would you mind if I threw in a murder or two? Let me know and I’ll egift a copy of Losing Control, book 1 in the series to one winning commenter.